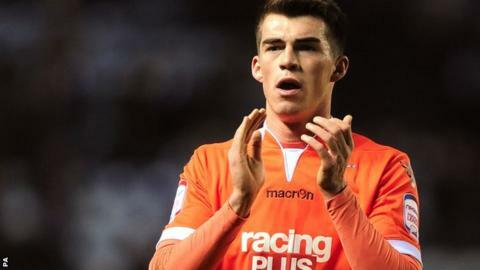 Cheltenham Town have extended the loan deal of Millwall striker John Marquis by two months. The 22-year-old made his debut as a substitute in the 1-0 win against Hartlepool and has been in the side for the last four games, scoring once against Oxford. Marquis joined the Robins on an initial one-month loan at the end of August. "John has given us energy and has been a real goal threat," Robins manager Mark Yates told the club website. "I'm sure the goals will come and given more time he'll be good for us. "The lad has settled in really well and is enjoying playing with us, he's delighted to be staying for another two months."